This iPhone 6 Plus/6s Plus/7 Plus case with pull-up strap is, of course, entirely customisable – you can choose the colour, leather type and initials that you want. 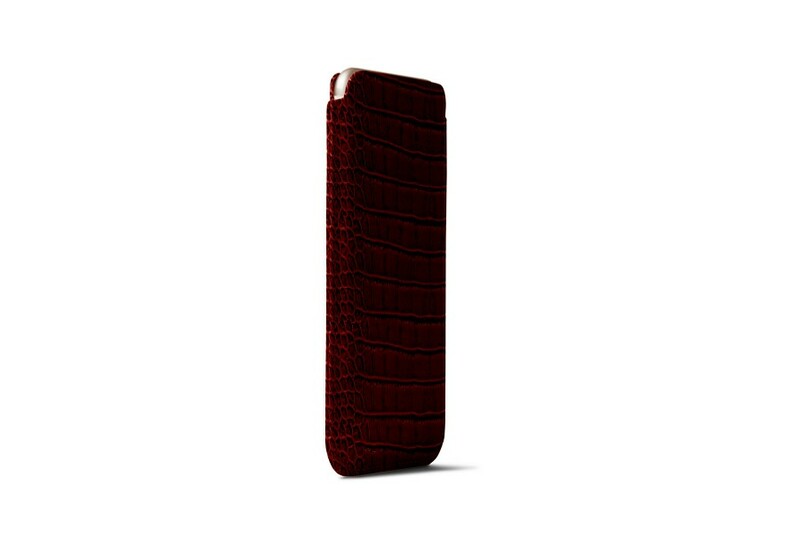 For those who use their iPhone 6 Plus/6s Plus/7 Plus extensively, this 100% real crocodile-style calfskin leather case with pull-up strap is just what you need. 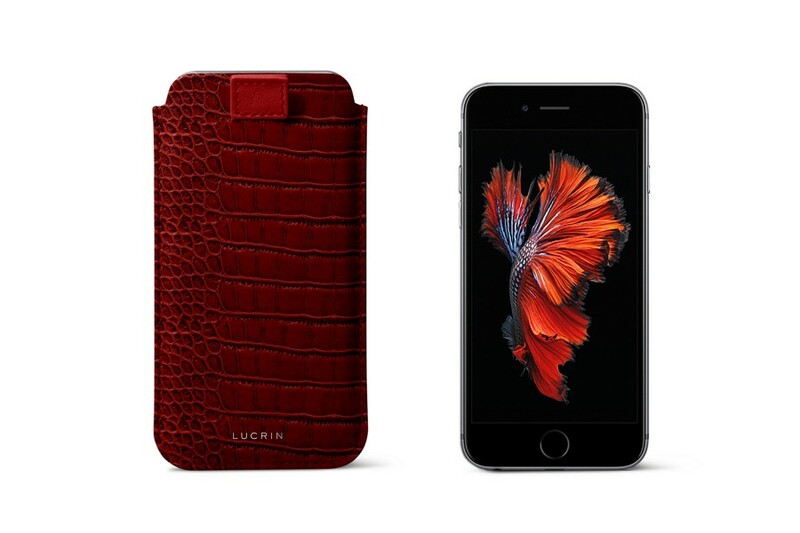 Removing the iPhone 6 Plus/6s Plus/7 Plus from the case is easy – you only have to pull the strap up. This pouch is available in all leather types, including the rigid ones (for example, calf crocodile style) which tend to hold onto the smartphone more tightly than the soft leather case such as the smooth lambskin. 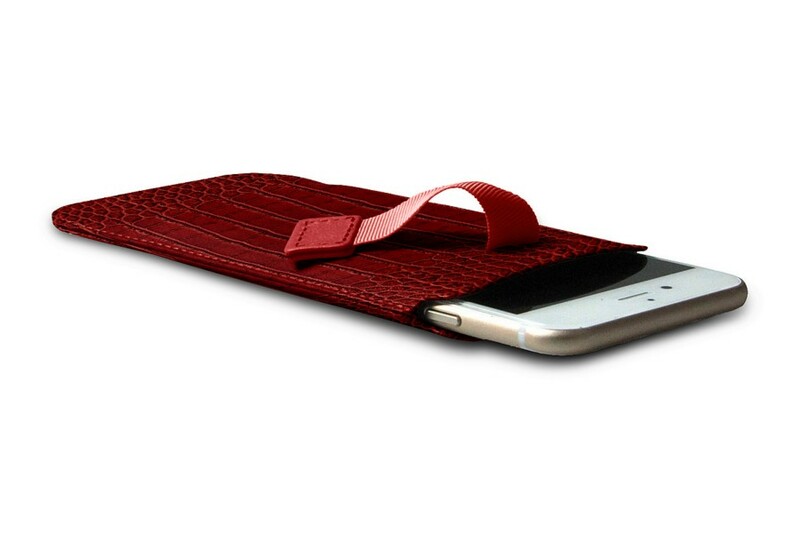 The microfibre interior will keep your 5.5 inches screen free from scratches and smudges. Before placing it in the case, make sure that your iPhone is not in any sheath or cover, that would modify the original dimensions of the phone. 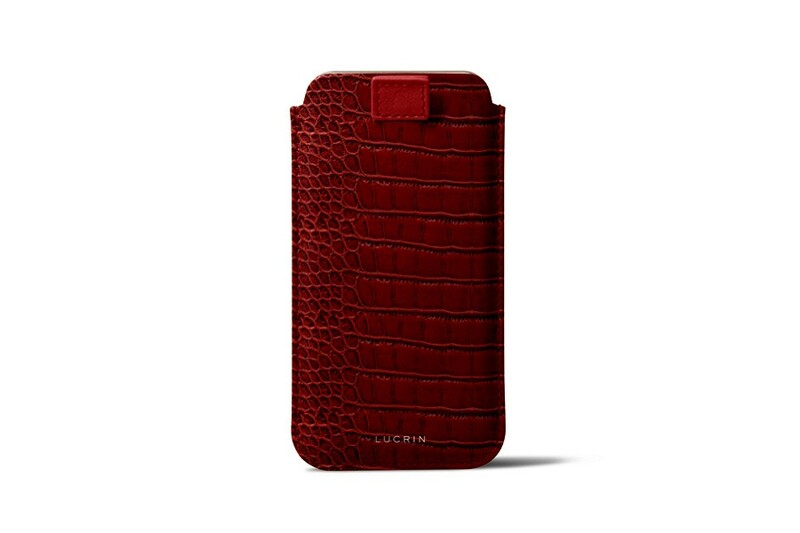 The leather iPhone case is custom-made relative to the size of the device.